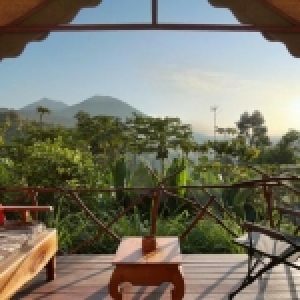 Kuta Beach is Bali’s most famous and most visited tourist destination because of its close proximity to the airport, its beautiful beaches, low cost, and its waves suitable for beginner surfers. 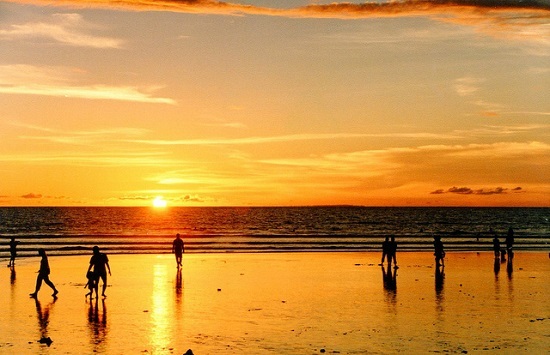 Kuta Beach is also famous for its beautiful sunset. 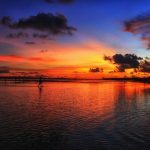 The unique fact of Kuta Beach is before Kuta Beach becomes a tourist destination in Bali that must be visited as it is today, Kuta Beach is a big port, trade center in Bali. With its white sand and blue sea, equipped with very complete supporting facilities, Kuta Beach is the prima donna of Bali tourism. Pura Tanah Lot is one of the tourist attractions in Bali which is famous for its beauty, especially at sunset. Tanah Lot Temple consisting of 2 temples is a temple to worship the god of the sea. The uniqueness of Pura Tanah Lot is this temple is located on a large rock on the edge of the sea. 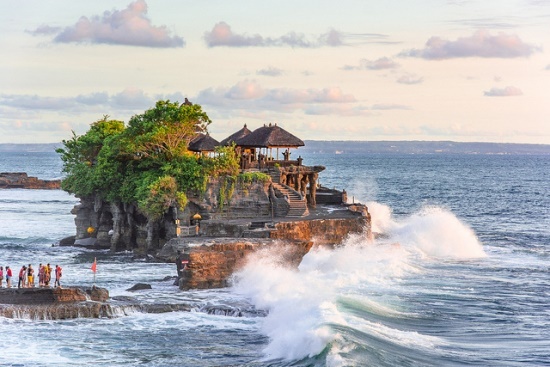 At the time of sea tide, you can not get closer to Pura Tanah Lot because around the rocks of Pura Tanah Lot buffer will be flooded by sea water. At low tide, you can see some tame sea snakes which according to locals are keepers of Tanah Lot Temple. In addition, in this location, you can also hold a sacred serpent that is benign and harmless. Padang Padang Beach may be less well known when compared to Kuta Beach, but Padang Padang Beach is a very beautiful and unique beach. By the time I first came to Padang Padang Beach I also thought that this beach is an unattractive beach because it is less well known, but I was wrong. Padang Padang Beach is a small beach hidden behind a cliff in the area of Pecatu, near Uluwatu. To reach Padang Padang Beach, you have to pass a ladder that cleaves the cliff. Padang Padang Beach is not big and wide, but very beautiful and interesting to visit. Most visitors of Padang Padang Beach are foreign tourists because Padang Padang Beach is less well known among the tourists in the country. Beratan Lake Bedugul is a lake located in a mountainous area with a beautiful natural atmosphere. 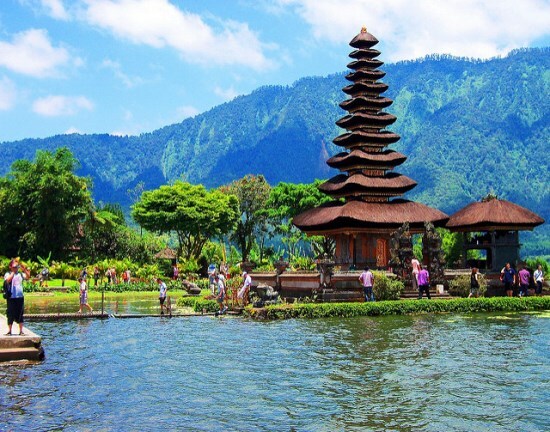 The uniqueness of Lake Beratan Bedugul is the existence of a temple called Pura Ulun Danu. 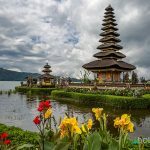 Ulun Danu temple is located on the edge of Lake Beratan Bedugul and is one of the main attractions of Lake Beratan Bedugul. 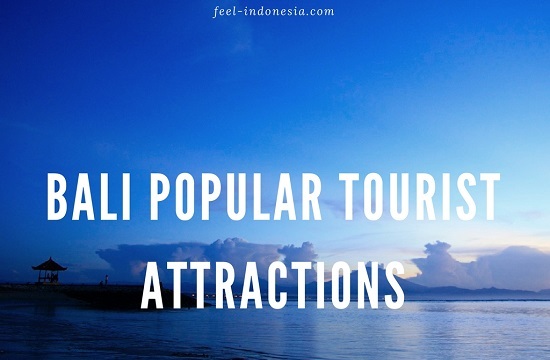 In addition, tourists can also enjoy water games and rent a boat at Lake Beratan Bedugul. 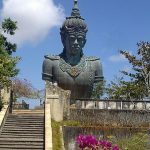 Garuda Wisnu Kencana or commonly abbreviated GWK is a cultural tourism park located in South Bali. 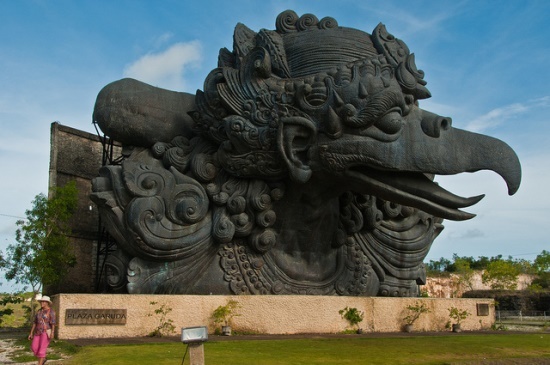 Garuda Wisnu Kencana is a huge sculpture by I Nyoman Nuarta. Currently, the statue of Garuda Wisnu Kencana has not been fully completed, only part of it has been completed, but even so, you can still enjoy the splendor of Garuda Wisnu Kencana. In addition to the statue, you can also see the beauty of limestone hills are cut into large lime beams. These lime beams will be filled with sculptures. In addition to the Garuda Wisnu Kencana area, there is also an art theater, you can enjoy various types of dance and artistry of Bali in this theater every day. Lovina Beach may not be too often heard among tourists. 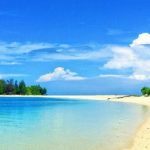 Lovina Beach is one of the most favorite places in Bali that I like because in Lovina Beach we can see dolphins swimming and jumping in their natural habitat. 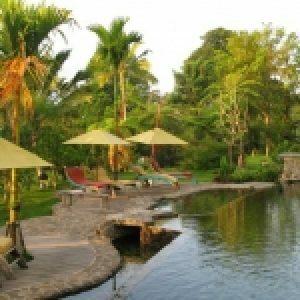 Located in North Bali close to Singaraja City, you will go to the sea and see the dolphins by using a fishing boat. Lovina Beach Dolphins play by the beach in the morning, therefore tourists usually depart from the beach starting the early morning. 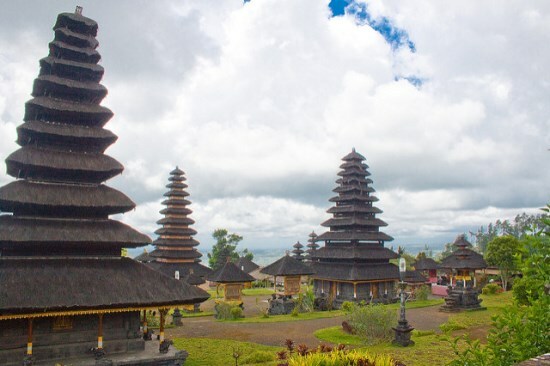 Pura Besakih is a temple located at the foot of Mount Agung, stands as the largest temple in Bali. In Pura Besakih often held a Hindu religious event because Pura Besakih is believed to be a holy place and is the mother of all temples in Bali. 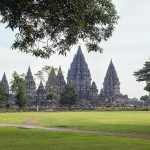 Besakih Temple is built with the concept of equilibrium of God, man, and nature or often referred to as Tri Hita Karana. To enter the Pura Besakih area, you have to use a sarong that can be borrowed around the location of Pura Besakih. Pura Uluwatu (Uluwatu Temple) is one of the tourist attractions in Bali which is on a cliff that juts into the sea. Uluwatu Temple not only offers a distinctive Balinese religious atmosphere but also offers the beauty of its panorama, especially the beauty of its already well-known sunset. In Pura Uluwatu, you will meet a number of monkeys that are believed to function to maintain the sanctity of Uluwatu Temple. To enter Uluwatu Temple area, you must use sarong and scarf which is a symbol of respect. Jimbaran Beach is one of the most famous tourist attractions in Bali. By the time you come to Jimbaran Beach, the first thing you will see is a row of dining tables and chairs on the beautiful white sand. Jimbaran Beach is famous for its beachside culinary, especially its seafood. Jimbaran Beach for those of you who want to travel to the beach while enjoying the culinary tour of Bali. 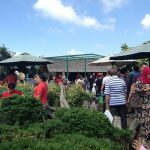 No need to worry about eating food at Jimbaran Beach because the waves at Jimbaran Beach are very calm, do not harm you who are eating on the beach. Monkey Forest is a tourist spot in Bali that will bring you to blend with nature. Located in Ubud, Bali, Monkey Forest is a forest inhabited by many wild apes. These monkeys are considered sacred by the local people so they should not be disturbed and allowed to live in the forest. Monkeys in Monkey Forest are very fond of food, they will try to get the food you bring, even if the food is in your bag. 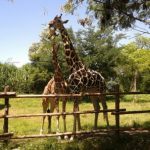 In this place, you will witness the life of hundreds of unique and interesting monkeys. 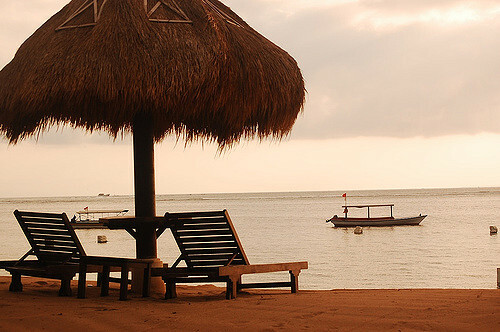 Tanjung Benoa which borders Nusa Dua, Bali is the center of the sport and water game in Bali. The characteristic of Tanjung Benoa Beach is very calm, so it is suitable for various types of exciting water games. 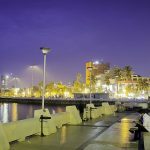 The types of water games you can play here are snorkel, sea walker, banana boat, parasailing, wakeboard, waterski, jetski, scuba diving, donut boat, flying fish, and others. In addition, you can also go see the giant sea turtle on the island of turtles by boat from Tanjung Benoa. 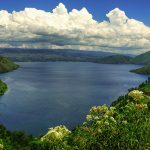 Lake Batur Kintamani is one of Bali’s natural charms. Located on Bali’s second highest mountain, Lake Batur Kintamani has a cool air and a breathtaking view. 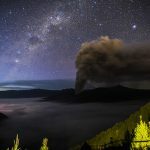 Lake Batur Kintamani is the largest lake in Bali that many tourists visit because it offers a view that is second to none in Bali. Kecak Dance is the most famous and most interesting Balinese dance to see. Of the many places that show the attraction of kecak, I think the most interesting is the Kecak Uluwatu Dance which is in Pura Uluwatu. Kecak Uluwatu Dance performs Balinese kecak dance with a backdrop of sunset in Uluwatu which is very beautiful. 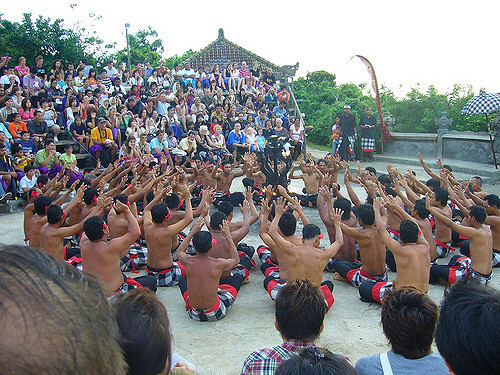 Kecak Uluwatu Dance is very popular and crowded therefore if you want to watch Kecak Uluwatu Dance performance, I suggest to message from the afar day. Most of the Jatiluwih Village are used as rice fields or known Balinese rice terraces. The rice fields using “subak” irrigation system based on Balinese traditional society. Subak reflects Balinese life philosophy called “Tri Hita Karana”. It means living in harmony which includes the balance of the spiritual world consists relationship man to the others, man and God, and man and nature. \And you know that every subak has a temple where the goddess of prosperity is placed as a blessing symbol. Standing behind Nusa Lembongan and Nusa Ceningan Island if you ride the boat from the main island, Nusa Penida Island is the hidden paradise. Nusa Penida underwater world was very beautiful, especially on the north side of the island. 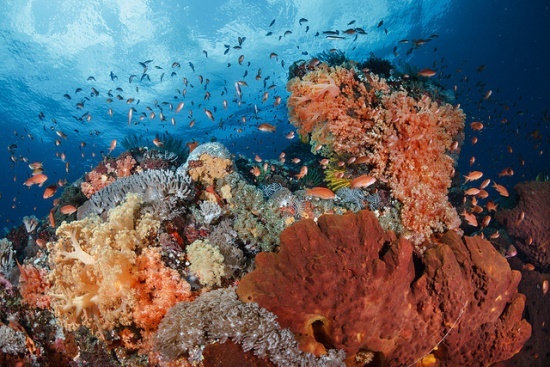 There are some very attractive coral formations with big coral blogs covered with gorgonias and other soft corals, providing excellent places to find coral fish and other marine life.